"No, it's not pressure because it's fun to me. I love music, I love creating, so I just get inspired with whatever mood I'm in. Whatever the story dictates, that's where my mind goes. I really enjoy it, it's fun coming up with different songs every week." "Absolutely, I believe WWE—which, if you are not aware, stands for 'Walk with Elias'—the company is taking notice of what I'm doing every week and there's absolutely plans in the works to record music, release music, put it out there and give them the sound of Elias that they can take with them. They can have it on their phone, they can have it wherever on whatever music format they have." 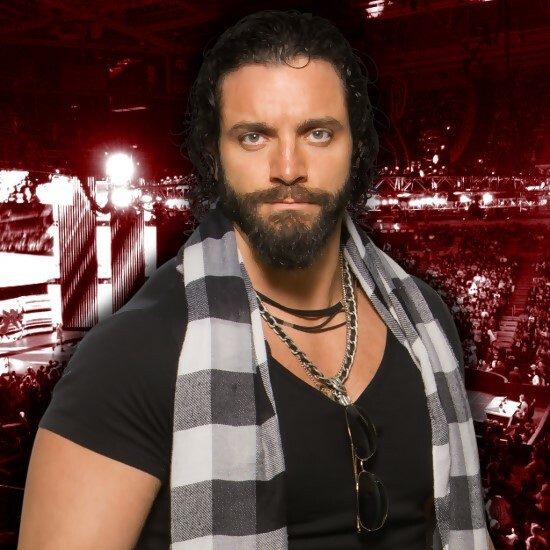 "Yes, it would be an injustice if Elias was at Wrestlemania and not performing in front of millions of people around the world, nearly 70,000 in attendance, it would be an absolute injustice. I will be performing, it will be an amazing memorable performance, unlike anything you've seen Elias do in the past." "I never took lessons for any instrument at any time. Guitar was always my first passion when it came to music. Just through experimenting, you see that there's relatability between the instruments. The drums is rhythm, you've gotta have rhythm when you play guitar. It wasn't too much of a physical transition once I got guitar down to be able to mess around on the piano." Elias also discussed more about how got into playing guitar at a young age and his influences.